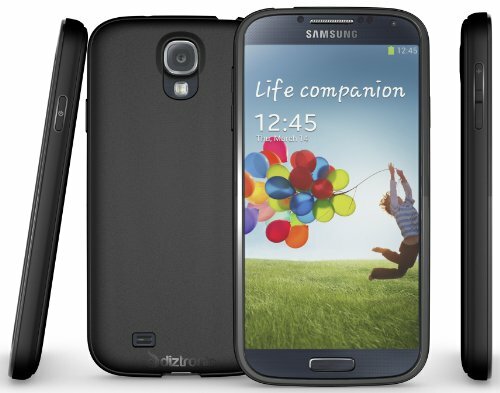 The Galaxy S4 Diztronic TPU Case is definitely one of my favorite cases. It features a nice matte black finish and a nice glossy logo on the back. The case really does feel good in the hand, it isn’t too slippery and has a nice grip to it. It comes in a billion different colors which you can check out here. The Galaxy S4 doesn’t have any issues coming in and out of the case which is because of the TPU material it’s made out of and also the rubbery edges. I’ve been using Diztronic cases since I got my Galaxy Nexus a couple years ago, the style is pretty much the same, so if you’ve ever used a Diztronic case you know what to expect. Be sure to check out my video review of the case up there and check out a link to the case below.